Recently, one of my friends tell me that she is looking for a tool able to convert some TS files to mp4, but she does not know how to do it. As we all know, TS is abbreviations for Transport Stream, which is a standard format for transmission and storage of audio, video, and data, and is used in broadcast systems such as DVB and ATSC. However, TS is not compatible with many portable devices and media players, so, if you want to play these .TS video, you’d better transcode these TS videos to a common format, such as the MP4 format. To convert TS to MP4 Avidemux is your choice. As a free video editor designed for simple video cutting, filtering and encoding, Avidemux is very flexible, supporting AVI, DVD compatible MPEG files, MP4 and ASF files using a variety of codecs. What is more, Avidemux is completely open source and works across different platforms, so it’s ideal for those that are working on both Macs and PCs. Though it is powerful, it is not particularly intuitive when you first use it. Below is a guide on how to use Avidemux convert to mp4. How to use Avidemux to convert TS to MP4? 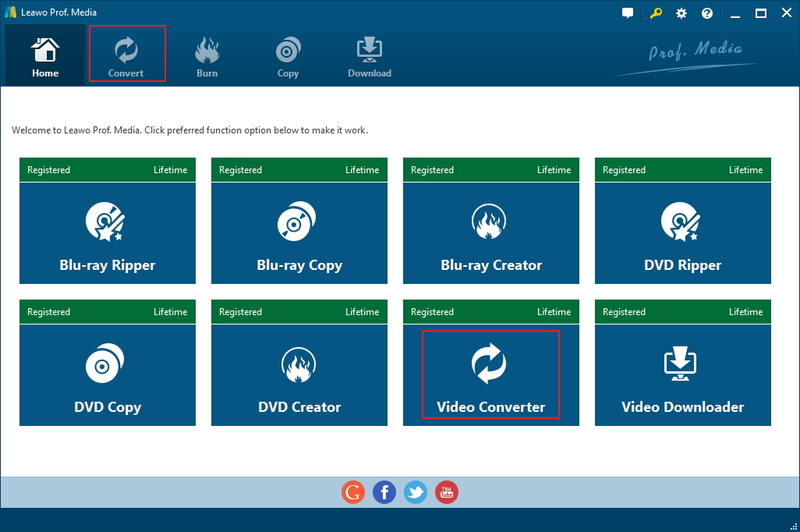 How to use Leawo Video Converter to convert TS to MP4? How to use an online video converter to convert TS to MP4? With Avidemux TS to mp4 is so easy. All you need to do is follow the steps mentioned below. 1. Download and install Avidemux on your computer. 2. After launching Avidemux, click File>Open to find and import your TS file to the program. Or you can directly drag and drop them to the interface of it. Then the video is supposed to show up in Avidemux. 3. Select the video and audio codecs for the video under Video Output and Audio Output. 4. 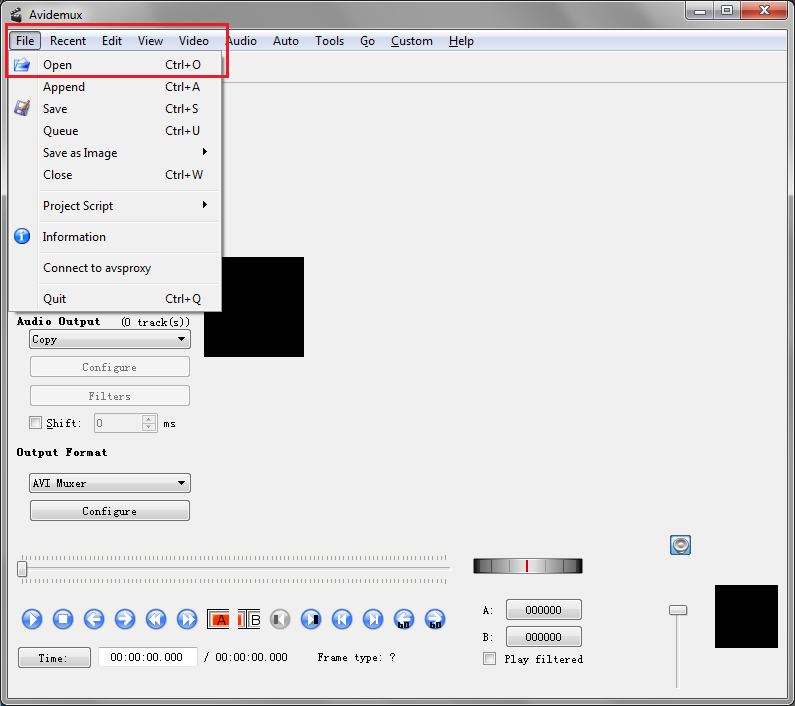 Select MP4 Muxer at the Output Format drop down box. 5. Click on File>Save to save it. 6. Finally, select the location to save it and the name the saved video file. And the conversion will start immediately. The method shows you how to use Avidemux TS to mp4 will help you, so go ahead and try this appealing video editor software. To convert TS to mp4 Avidemux has done a great job. But Leawo Video Converter, as one of the best video converter software as well as audio converter software, can also give you a big surprise. Leawo Video Converter empowers users to convert video and audio files contained in more than 180 formats from one to another. 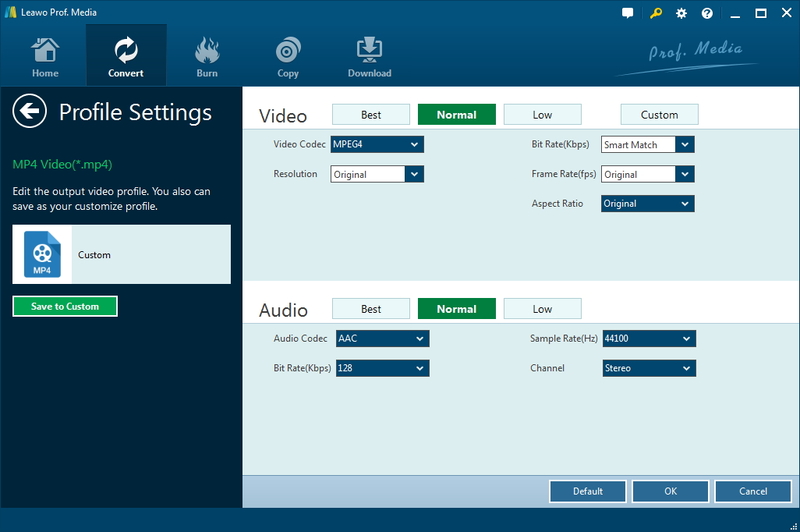 Moreover, Leawo Video Converter supports a variety of video files input including MP4, AVI, MOV, MKV, MTS, FLV, etc., and at the same time the program is able to convert various audio files like MP3, TS, AAC, FLAC, AC3, etc. In a word, Leawo Video Converter is undoubtedly an excellent video converter that performs high quality video and audio file conversion. Step 1. Download and launch the Leawo Video Converter. Step 2. Click the “Add Video” icon and choose the TS video to import to the program. Step 3. After importing source files, click the box with the label MP4 Video then click the “Change” button to get to the output format selecting interface. Find MP4 from the list and click on it. The default output format is, as you can see, MP4, so you don’t have to change it when using it for the first time. But you should know how to change it next time when you need to convert videos to other formats. Step 4. Instead of clicking “Change” option, you can also click the “Edit” to enter the “Profile Settings” interface to adjust video and audio parameters of the selected output format, in this case, MP4. Step 5. After getting back to the main interface, click “Convert” button to set a directory for containing output video files in the “Save to” box. And then click the Convert button at the bottom to allow the program to start converting TS to MP4 video. Besides Avidemux TS to mp4 converter, there is also other online tool, such as the convertio (https://convertio.co/TS-mp4/). To convert TS to mp4, try the way below. 1. Select files from your computer, Google Drive, Dropbox, URL or by dragging it to this page. 2. Choose the output format “MP4“. 3. Let the TS file convert and you can download the MP4 file right afterwards. As we all know, Avidemux is a bit more powerful than the other video editing software, but it isn’t one of the easiest video converter software to use as it’s not just a converter, which means that you may need some time to become familiar with it and the way things are set up. What is more, using this program to convert videos can be quite confusing. 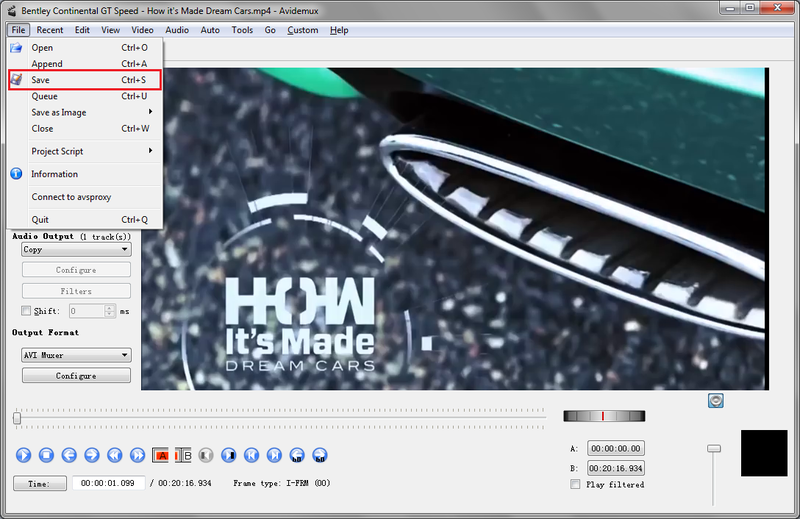 Leawo Video Converter is a bit more powerful, for it supports more output formats. Other than TS, it can also convert formats like WebM to MP4. 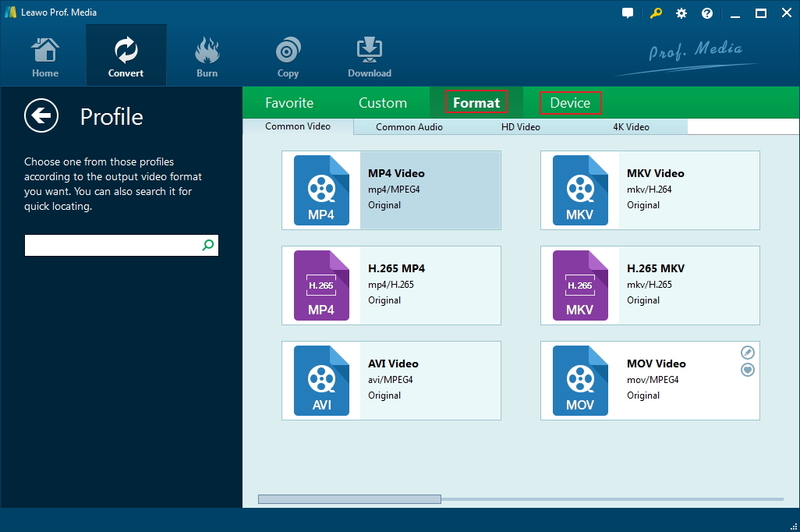 Most formats you can find can be converted to MP4 and other popular video formats. Besides, it is convenient to use. Moreover, this professional video converter software is capable of converting video and audio files at 6X faster speed without any audio/video quality loss. And this Windows video converter allows users to trim video length, add video watermark, crop video size, adjust video effect, create 3D video, and remove noise. And the function of online video converter is limited, and most of which cannot set the audio/video parameters as we want. After comparing these three powerful programs, in my opinion, the Leawo Video Converter is better at converting TS to mp4.